Yamazaki isn’t the only whiskey Japanese distillery Suntory makes, but for ages it’s been the only one it has sold overseas. 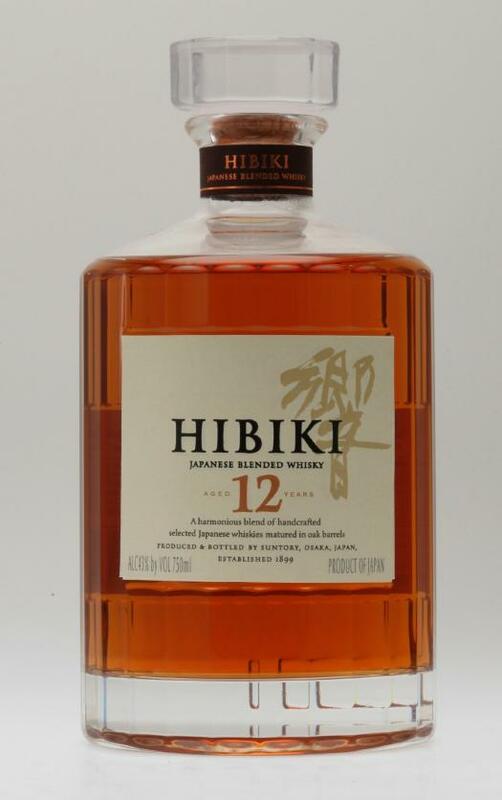 Now Suntory is expanding the distribution of another of its products: Hibiki 12 Year Old Whiskey. This is a very easygoing, blended whiskey, pale gold in color and with a light, blonde-wood character that comes through strongly. Freshly brewed tea, a common characteristic in Japanese whiskeys, is huge on the palate, and the spirit eventually fades out with waves of grain, a light astringency, and some flowery notes. Very nice — though to be honest it reminds me a lot of 12-year Yamazaki, maybe with a touch more wood to it.